The project aims at giving youngest and oldest citizens the opportunity to reflect on the reasons behind the European integration; boosting the debate on the relevance of EU policies on citizens’ daily lives; and initiating an intergenerational dialogue about the significance of the European values providing the target groups with the knowledge to actively participate to the EU democratic process. Each partner organised a public one-day seminar in each country, paying particular attention in involving over-65 adults and under-30 youngsters among participants. Each seminar will consist of two parts: a general framework on the European functioning provided by experts and “European stories”, a discussion moment where small groups of over-65 citizens told life stories and personal testimonies regarding the life in Europe before the beginning of the integration process. Each partner organized a one-day workshop in each country, in which over-65 adults and under-30 youngsters, were divided into groups, each of them will then identify specific issues in their country (or city) and tried to use a EU tool to solve it. All the project´s activities were characterised by non-formal and intergenerational learning approach. A final conference was organized in Turin (Italy) in November 2014, to disseminate the project’s results; raise awareness on the importance of the EU and the EP elections; and contribute to the debate on the methodologies to foster the intergenerational dialogue and the link between adult education and active citizenship. – A publication which collects stories emerged form the seminars, offering a transnational point of view that overcome the national individual situations, fostering reflection on the cost of non – EU and supporting at the same time the preservation of the European memory. 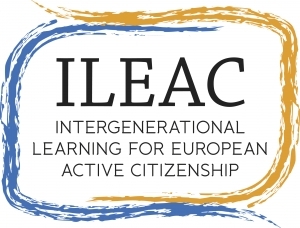 – Online modules which contain the general methodology to be used in an intergenerational workshop and allow to replicate this intergenerational experience on a larger scale. – Conference recommendations on how the EU can be more reachable and understood. This project is funded with the support of the European Commission, under the Europe for Citizens programme.